Why do we wait until after the first of the New Year to implement our new fitness plan? We’ve known for months that we’re going to do it. It seems as though we fear that if we start before the festive season is over, we’ll undo all that we gained during that period of time, so we’ll start afterwards and not lose anything. The problem with that line of thinking is that we start behind the curve. What would happen if we had started say 2 months before Thanksgiving? At a one-pound loss per week, we would have already lost 8 pounds before the holidays started. Even after the holidays you’ll still weigh less than when you started. By starting your New Year’s fitness plan early, it will already have become a habit by the time the New Year rolls around. You’ve probably heard it takes about 21 days to a month for something to become a habit. Science tells us it takes longer if the action it is more complex and with multiple variables such is the case with establishing a new fitness routine. Oh, and if you are waiting to start your new fitness routine until the time is right – it will never be right, so as the popular American sports and sportswear company Nike says “Just do it!”. Do it at home or at a gym? Your new fitness routine doesn’t have to involve spending a lot of money. If you can’t afford a gym membership, there are literally hundreds of exercise DVDs that you can buy and exercise in the comfort of your home. Some may require small pieces of equipment like a set of dumbbells or a stepper, but many will use just bodyweight and require no equipment. Or you may find the perfect workout for you on YouTube and those are free. However, if you want a gym membership, go ahead and buy one. Most gyms offer reduced price memberships to new customers. Sometimes the act of “going to the gym” is motivation enough for people to get their money’s worth from their membership. 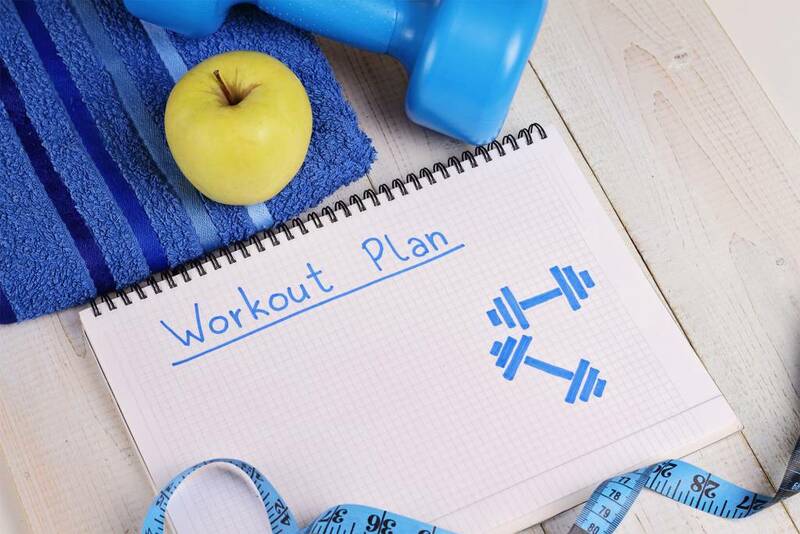 Regardless of how you do it, once your new fitness plan has become a habit, it will be as natural as brushing your teeth or going to work each day. Don’t wait until after the New Year to start your fitness plan. Start now and get ahead of the game.